finish, a ton of tasks to get to, and a list of deadlines to meet. You might not notice it, but work could be piling up so fast you become lost in your projects and find yourself forgetting what you need to accomplish first. You end up not only compromising the quality of your work, but your work habits become so messed up as well, making you inefficient and unproductive. This shows how time management is important in your professional life, and this is why you should get around to doing it. Keeping track of your tasks and allotting enough time for each is the key to becoming more productive and performing at your best at work. Time management will allow you to properly plan out how to tackle different projects, which ones to prioritize, and how much time you need for each. What you need to do is plan your day so that you will feel in control of everything you need to do. Next, prioritize your tasks so you can easily recognize urgent ones and bump off less important ones. It is important to take your time when working on each project and not rush anything because doing things right will save you more time in the long run. Altering your work and life habits will also contribute to your productivity and make time management easier as well. You need to limit your distractions at work, since it eats up a lot of your time without you noticing it. Don’t spend too much time on the phone or checking your email and just allot a designated time for these things. Delegate tasks if you can – no one expects you do to everything, and you have other teammates who would be glad to help you out. Lastly, it would also do you good to sleep early and eat healthy so that you can maintain your focus and concentration. Time management will allow you to be at your best at work. It will show people what you can do by balancing your time and knowing your priorities. If you are bent on making it work, time management software might help you carefully track your activities so you can monitor your behavior. It will take a lot of will to become more productive but the rewards are far greater and very fulfilling. Freckle helps you manage your time. you ever wonder how others manage to fit everything into their day – school, work, family, and friends? Maybe you’re not alone… Life is hard and becomes even harder as people develop into adults. This is why excellent time management skills are a must – especially for the adult learner! The adult learner has many challenges they face every day from schooling, to work, to making sure they have enough time available in their day for friends and most importantly their family. Often times, the adult learner will give up and drop out of college because they cannot keep up with working long hours as well as the massive amount of school work from day to day – the average worker in America is working more hours than ever before. They often feel in order to support their family they have to let college go. A college degree is extremely important in this day and age; however, while attending college many adults realize that it does not pay the bills. This is unfortunate as many adults will fail to excel in their careers without the degree behind them. Life is hard – especially for the adult learner. For those that push through and continue to work and attend school, they often find it is a daily struggle to keep their grades up so they can make the required satisfaction of progress. The adult learner in most cases does not have the advantage of staying at home as the younger learner may have so they can focus only on their education. This makes learning even more complicated for the adult learner. It is especially hard when they have a family to care for and household responsibilities too. Many adult learners will feel they are neglecting their family and other obligations so they may choose to put their education on hold while their children are growing up. Their friends may not understand why they are unable to do the things they did before and their social life may struggle because of their schooling as well. All of these situations make it incredibly difficult for the adult learner. It becomes a balancing act to make sure they do not become overstressed, overworked, or overloaded – so how do they manage it all? able to run their organizations more effectively and efficiently because they are making more efficient use of their time. This article talks about some tips and things the executives need to be aware of that will give them back their time. It is no secret that business managers are extremely busy. Often, managers are left feeling overworked and overwhelmed, and that can be after only just the first day of the week. As a manager, it is important to find ways to simplify the management of your office, yet continue to remain in-the-know. In doing so, you will not feel that you must spend your day micro-managing every detail of the office and can go about business without worrying about whether the office will run or not. For example, if you find that you are spending much of your time chasing down late employees, or tracking employee breaks, invest in an employee time clock. This way, you have hard data to refer to and you are not taking time out of your schedule to ensure it is collected. Look for other ways to free up your time. Begin with some “spring-cleaning” at the office. Consider the time at your office fitting into the three categories of thoughts, conversations and actions. These are the areas that your work is made up of. Being that you will be unable to do away with interruptions throughout your workday, you will need to make a conscious decision as to how much time you will allow yourself to spend on each type of interruption. 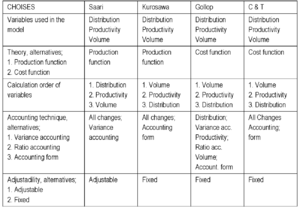 Decide how much each category contributes to your overall success and budget time accordingly. After this step, attempt to make your average day more productive. Utilize the following tips to become more in control of your own time. Track all of your thoughts, conversations and actions by carrying around a schedule for one week’s time. This way you will be able to see where your time is going on paper. Evaluate the amount of time that is directly spent on attaining results and how much of your time has been wasted on things which are nonproductive to the business. From here, assess your data. Assign a time in your schedule for any conversation or activity that affects your success. Appointment books work much better than “To-Do” lists. Allow regular time for high-priority actions, thoughts and conversations by scheduling them in, even if this means that you are scheduling time with yourself. Plan time to attend to interruptions. As a manager, there is just no way to avoid interruptions. For example, this time could be called “office hours”. This is a time where people know they can come to you. Plan your time daily. Make a ritual of doing so in the first thirty minutes of each day. At Time Clocks & More, we carry several budget-friendly and quality employee time clocks or tracking systems that will fit your business’s needs. Visit today! Time management can be easy or difficult to do. One of the thins that makes our time easier to manage outside of managing our priorities is the use of time management tools. Sometimes we get lost in certain tasks and don’t really realize how much time we are spending in the things that we do. This article discusses some of the time management tools that can help us to reach our goals. One thing that the New Year brings on is the desire to get organized, or reorganized, as the case may be. Managing your business depends a great deal on time management. If you are not managing your time efficiently you will tend to have lack of focus, scattered energy, projects never get completed, lack of follow-through, and not honoring commitments. Highly successful entrepreneurs have tools to organize their time, their activities, and their thoughts. Here’s my short list of valuable tools to help you get organized and have more efficient time management. The first thing you need to organize your time around is appointments. Before I started using TimeTrade, I was going back and forth with emails 3 to 6 times trying to find a time that worked for both parties. It was a colossal waste of time. For a mere $56 a year you can save an enormous amount of time and frustration and you will also get a handy reminder for all your appointments. It works in conjunction with several online calendars, including Google Calendar. Google Calendar also gives you a reminder when an appointment is coming up. You can set how long before the appointment you want to be reminded and choose between email or a pop-up (which won’t go away until you click on it). When I started my business, there weren’t any type of planners that suited me, so I made my own. It was organized via monthly, weekly, and daily. But I had to print a new one out every year and that got rather tedious. The closest planner I have found that is a viable substitute was Planner Pad. This planner is organized so you can sort your to do list by categories, plan out your activities for the week, and set your appointment dates—all in one view. This is a great way to not only plan out your activities in a coherent manner, but also organize your thoughts, ideas, and reminders. It’s harder for things to slip through the cracks because you are planning more broadly and you can see the big picture at a glance. One of the best tools I discovered in my coach’s training and that I teach to my clients is called a 30-Day-Plan. The idea behind it is that you plan out what you need to accomplish in the next 30 days and then get clear on the energy around those activities necessary to complete the plan. How many clients would you need for one month? How many products would you need to sell for one month? How many sales conversations would you need to have? How much networking would you need to do? Once you are clear about these kinds of specifics, you chunk it down into weekly and daily actions. Then you take a look at your own energy around those goals and what else may get in the way of achieving them, including any beliefs you may have about not getting them. Clients find that planning out 30 days at a time is less overwhelming and an easy way to get more organized. And using the 30-Day-Plan’s inner and outer approach is a more efficient way of management. These 3 tools will absolutely help you become more organized and will use your time more efficiently. Better time management and more organization equals more productivity. And, more productivity equals more profit. can get very overwhelmed with the tasks of managing their online presence. It is necessary to stay focused on the activities that bring you money and outsource the rest. This article is about some of the things that can cause you a reduction in your efficiency and productivity. Is productivity something you give much thought to in your business? What about time management? These are two areas that can make or break your business, yet many new online entrepreneurs do not give them a thought until it’s too late and the business is struggling. You need to think about the activities and tasks that are necessary and relevant to moving your business forward, the amount of time you spend learning versus actually taking action, and the more long-range plans that can take your business to the next level as quickly as possible. During my first year online I was not very productive. I wasted lots of time attempting to find the information I would need in order to build a business. Once I had isolated the specific activities I needed to engage in each day I became more productive than ever. Within a short period of time I became much faster at what I was doing and my skills also improved. I could accomplish more in a day than I used to do in a week or more. This led me to start sharing my techniques and strategies with others. Only engage in activities that will move your business forward and you will stay on track. My first year was also consumed with learning new things. I felt like I was working eight to ten hours each day, but actually I was reading, listening to audios, and attending live teleseminars and webinars for most of that time. Once I cut that down to learning only two hours each day my productivity really increased dramatically. This business is like any other; once you have learned enough to be able to do it yourself you must jump in and start taking action. My plans when I came online were to be able to replace my income from my previous offline jobs. I just didn’t give much thought to what would happen after that because I constantly worried about earning enough money to pay my bills each month. Once that became mush easier I was able to think ahead. I encourage you to do this from the very beginning so that you have more of a direction in your life and business. I now plan each quarter so that my business moves along at a steady clip. You can see that productivity and time management are areas where you can improve if you just give this some thought and take action on a regular basis. Remember that the reason to start an Internet business is to give you the time and money to live the life you choose. Download a free teleseminar on building your online business and a Special Report on 21 tips to make huge profits from a tiny list by visiting Build Your List to learn how to make huge profits with an online business through relationship marketing. What’s the point in all this documentation? Wouldn’t it be easier to achieve goals and ?? ?objectives without all our time being sapped keeping capacity reports up to date? Unfortunately documentation is entirely essential, since tracking the progress of a project without this data is impossible. Imagine if a manager left; how would a replacement manager be able to pick up the project unless its status was accurately recorded? Mobile workforce management services mean that this data is always up to date, that staff can update their timesheet, capacity report or change log on the go, with all relevant parties updated immediately. Efficient workforce management is all about co-ordinating the logistics of a project or business through a single channel or application. This can include planned and scheduled activities, project milestones, goals, objectives, resource allocation, revenue, capacity and costs. Mobile workforce management means more accurate, up-to-date records and improved communications. Historically businesses have relied heavily on reams and reams of paperwork and unwieldy spread sheets, but this is an unscalable system that could lead to a business becoming simply swamped in paperwork when business picks up. Mobile workforce management applications mean that data is instantly updated and available to all. It means that top level monitoring is much easier to do, and the data provided is always up-to-date. Staff might not enjoy filling out time sheets, but they are an essential way of managers tracking and reporting on capacity, completed tasks, milestones and the like. Time tracking is also an important way of staff accounting for their time at work, but entering data manually can be tedious, especially when it needs to be duplicated for other managers, departments or customers. Managing this data digitally means the most recently updated version can be viewed by all. Mobile workforce management means that everyone is up to date regardless of whether they are working from home, another office, out on secondment or even on a train or plane. Data records can be viewed, edited and copied instantly. It means progress and capacity reports are more accurate than ever, and the data itself is versatile and easy to obtain, edit, analyse and manage. Mobile workforce management isn’t just about keeping track of resources and monitoring planned activities, it can also improve workforce communications. Mobile workforce management services can help to schedule and manage workload, report results instantly, perform safety check calls to remote workers and can help them to report incidents instantly. If there’s no better reason to switch to mobile workforce management services it’s to save paper. Once again it’s a question of scalability. If you currently have two filing cabinets for existing customers, how will they cope with twice the number of customers? Workforce management procedures need to scalable and able to cope with these changes. Alan Cairns writes on a number of subjects including mobile workforce management and mobile facilities management for GoMobilize. understand what you need to do to get closer to your goals (will this task take me closer to my goals or not?) then you have the road map to success. Then the question becomes whether or not you choose to follow it. Choosing the proper tools to assist you with managing your tasks can be the key to you following your tasks. Read on for more on what task management software is available for you or not. Handling your tasks effectively is the first step for time management. There are plenty of choices for task management software on the Internet. Of course, at the most basic level, all you need to manage your task is a pen and paper to put down your tasks. But task manager software makes the job faster and easier. Following 4 software can better your time management by offering more functions than paper-based system. Mylife organized is based on getting things done (GTD) system. The software allows you to make a list of next actions and categorize them on the basis of GTD criteria like context, importance and so on. It follow the principle of GTD to the letter but somehow doesn’t feel easy to use. 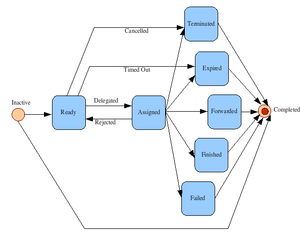 In my opinion, Vitalist (below) looks more successful in embodying the GTD system. However, If you seriously follow GTD, take a look at the software because it seems to be rated favorably by many users. Mylife organized costs 45 dollars. ToDoList is more price competitive. It’s FREE. But don’t be deceived by its price, the software is way better than ordinary commercial software. ToDoList has several good features that cannot easily found in commercial programs. The interface is intuitive. It supports hierarchical data. It can have numbered items and sub-items. It allows open file format such as xml and txt. You can make as many lists as you want with ToDoList. You can add tasks and sub-tasks in the list. Each task has a pane in which you can write memo in rtf or txt. This is very useful because you can include various information for each task like memo, websites, and contacts. Web-based applications have become an established trend. Many websites exist that are dedicated to task management. Rememberthemilk is one the big players in the area of web-based task management. It offers functions that are not available with desktop software. For example, you have notification through email and SMS. You can also collaborate with colleagues on the same list. Checkvist, although a new web-based task manager, looks very promising. It offers very easy and intuitive interface. It reminds of Bonsai, palm outliner, with its versatile uses. Just like the Palm program, Checkvist can be used as an outliner and task list thanks to the hierarchical format. You add task with Enter key and sub-tasks with Shift-Enter. You cross a task as one with space bar. Simple enough. Checkvist is a beta program but stable enough to handle many data. If functions such as due dates, data synchronization with desktop PC are added, it may become one of the best online task managers. Sunny Ley enjoys writing articles about various topics like time management, personal productivity, and home improvement. You can also check his recent website that covers a black shoe cabinet [http://www.shoecabinetonline.com/black-shoe-cabinet] and other kinds of shoe cabinet [http://www.shoecabinetonline.com/]. can sometimes add to the frustration and work load in our lives if we don’t use the tools correctly. Time management is no exception to this rule. There are many powerful time management tools out there than can really help effectively manage our time, but they can also drive us down the rabbit hole as well if we are not careful. Read on for more about how time management tools can wast our time if not used effectively. Are you managing your time efficiently? Or do you often find out that the time lost in working on your time management is more than the time saved from it? This is by far the biggest risk, along with losing money on bad tools or bad time management training. The point of time management is to improve the way you use your time, free up your brain from unimportant tasks, and free you up from stress. If instead of this your efforts to manage time end up in less time for you and more stress, you are obviously on the wrong way. 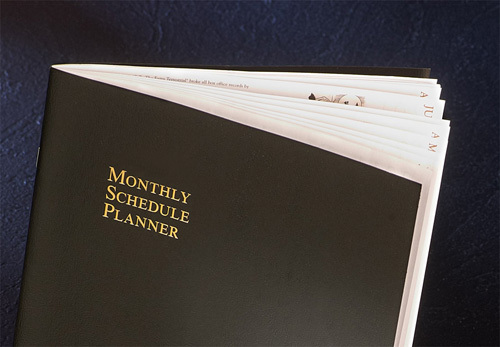 Calendars help you organize your events, meetings, dates, important milestones and other duties. They help you not to miss your visit at the dentist and can remind your friends to come at the party tomorrow. Many calendars are free and have nice features like email reminders, sending iCal invites and so on. Calendars are very useful time management tools and you should use them. But use them properly, because otherwise they can get you in trouble too. The main risk with calendars is to rely too much on yours. If you expect your calendar to know your appointments better than you (which is it’s purpose anyway), what happens when it doesn’t work well? What happens for example if you rely on receiving email reminder about an appointment but exactly this time the email arrives in your spam box? Such events are rare and that’s what makes them so unexpected. You should never rely 100% on technologies. If an event is important for you, insert it in 2 or 3 calendars, put it in your phone alarm, use the good old method with paper and fridge magnet. To do lists are neat little apps that let you create projects, assign tasks to them, reorder them, and mark them done when done. While bloody simple, these apps are very useful for time management. They help you not forget the tasks you have. They help you write your ideas as tasks in very simple way. They help you watch how you accomplish a project. Very nice! What’s so risky about them? Just think a little. What happens with the tasks that you forget to write in the list? I’ll tell you. They never get done. Then what happens with the not-so-easy tasks? I’ll tell you. They never get done, because you always move them after the others and if by any chance they remain the last in the list, you come up with new ideas and new tasks. And finally, when your to-do list becomes too large, it causes the decision block. How to order the tasks, which ones to do first? When you have a long task list you can easily feel depressed and lose your motivation. Time management charts are supposed to help you visualize how you spend your time, figure out the time wasters, and figure out which activities you do in your most productive time. They can be extremely powerful in giving long term results by helping you organize your daily routines and productive time better. They can also lead to extreme time waste if not used correctly. Imagine what happens if you underestimate the importance of proper tracking and enter values in the chart “as you feel them”. Generally you will decrease the time spend to time wasters (think checking your Facebook account), because you don’t feel them as wasters. At the end the time management chart will show totally misleading information. Another even more common risk is just to spend too much time maintaining your time management chart and then get no useful results. You don’t need another addiction – if you can get useful results from using time management charts in a couple of weeks, drop using them for good. Don’t forget that time management tools are created to help you and they will, if you use them well. And if you combine them with the best time management activities you will be the master of your time! is much more manageable when you look at it from the point of view of managing your tasks, and prioritizing them. Following the philosophy of the 7 habits of highly successful people, you will get a good foundation of how you can manage and prioritize your tasks. Read on for more! Our time is without question our most precious resource that we have available to us today. Unfortunately, far too many people take for granted this resource and as a result, are not very productive nor are they very effective in what they do. 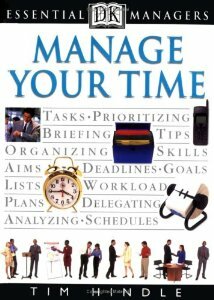 While there are numerous strategies available to us today, in my opinion no one describes how to manage time better than author Stephen Covey. 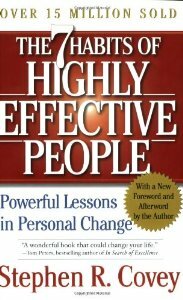 If you do not recognize his name, he is the author of the book “The 7 Habits Of Highly Effective People” and in this book, he describes a unique process on how to manage your time very effectively so that you can become productive. To paraphrase some of his ideas from his book, one of the ideas to better manage your time is to describe your day and your time in a metaphor. Think of your day as a bowl which represents the 24 hours we have in a day. Next visualize three big rocks which represent the most important things that you need to get done that day. Next visualize a glass of sand which represents the less important things you need to get done in your day but still need to be completed. Finally, visualize a glass of water which represents all the distractions you have in your life which happen each day. As Stephen describes, in order for you to fill your bowl without it overflowing, you need to place these items in a very particular order. For example, if you were to place the sand and water in first and then tried to fit the rocks in last, the bowl would overflow and you would not have any room to fit the rocks in. When we think about the lesson from this metaphor, it demonstrates to us that in order for us to become more effective, we need to “Put First Things First” and organize our day so that we always have the time to get our most important activities done first. By forming this new habit of prioritizing our activities, you will find that you will start to become more effective and productive in each and every day. If you would like to get more information about time management and other personal development ideas, make sure you read the resource box below and click on the link to my blog. Who Needs a Task Management Software and When? manage your time much more easily. In that case, there are many different task management software programs out there that can help you manage your day. So who would benefit most from task management, and the use of task management software? Read on for more about this. Most of them are actually looking for a personal organizer application to put some order in their busy and messy life. “In the beginning, I somehow managed to keep everything in my head. Then, as I began to take on more projects, I realized that I needed a task management system to keep me organized and focused.” says Deborah Woehr a freelance researcher and writer. These personal organizers generally take the form of the so called “To Do List” applications where users create a list of tasks for which they set a start date, some deadlines and a priority – something very simple. Most of the to-do-list applications these days adopt, to one degree or another, the GTD approach to task management according to the work-life management system by David Allen that provides concrete solutions for transforming overwhelm and uncertainty into an integrated system of stress free productivity. Apps vary as to how tightly or loosely bound to GTD they are. The problem, though, with To Do lists and personal organizers is that are only good for your work. Task management or task tracking software is more than just a to-do list. In a business many of the tasks are collaborative and require multiple team members to fulfill several tasks in a single project. In this case you need an application where assignments could be made, all tasks could be tracked, and completed work could be archived. This is a true task management tool. Users sometimes need to manage multiple projects and delegate work to resources, schedule tasks in time or even create plans. This is a further step to an upper level: project management or project planning software. 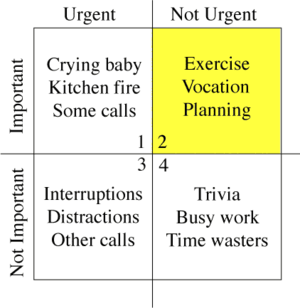 Every day we spend most of the time on urgent but low priority tasks while the most important ones get delayed until another day. Unfortunately, that “another day” might never arrive. The famous Pareto principle of 80/20 rule applies here: 80% of most important work gets completed if you try to figure out the 20% of high priority tasks. Basically an effective task management software must give you the best way to find these top 20% of important tasks for a effective project management process. This is a major problem with task management applications: they require too much effort on users part. It is easy to spend too much time on organization, and not enough on getting things done. Too many apps spoil the productivity. 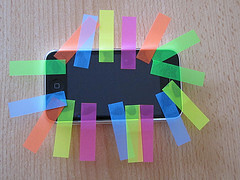 Task management apps should flow, should make using them easier than writing things down on a piece of paper. A task management software is an essential component for organizational and business operations and can make managing the project simpler.